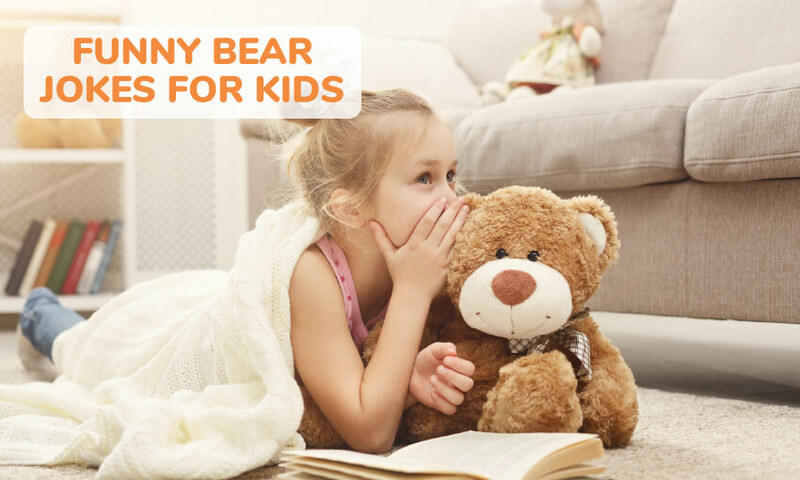 You need some funny bear jokes and we have them. 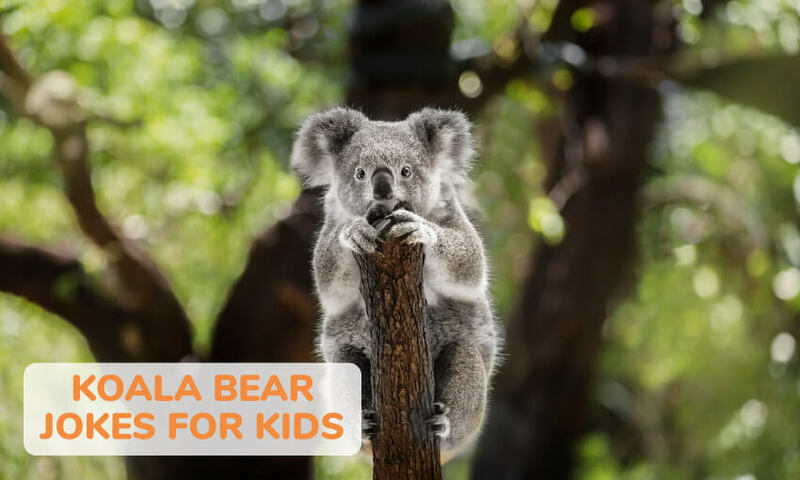 Find funny teddy bear jokes, koala bear jokes, polar bear jokes, and many other types of bear jokes. These jokes are sure to lead to hours of laughter and fun. 1. What is a koala bear’s favourite drink ? 2. What kind of umbrella does a Teddy bear carry when it’s raining? 3. What did the Teddy bear say when he was offered a second helping? 4. What time is it when 3 bears are chasing you? 5. Why is polar bear cheap to have as a pet? A: It lives on ice! 6. How do you start a teddy bear race? 7. How do you start a Teddy bear race? 8. What do you get if you cross a grizzly bear and a harp? A: A bear faced lyre! 9. 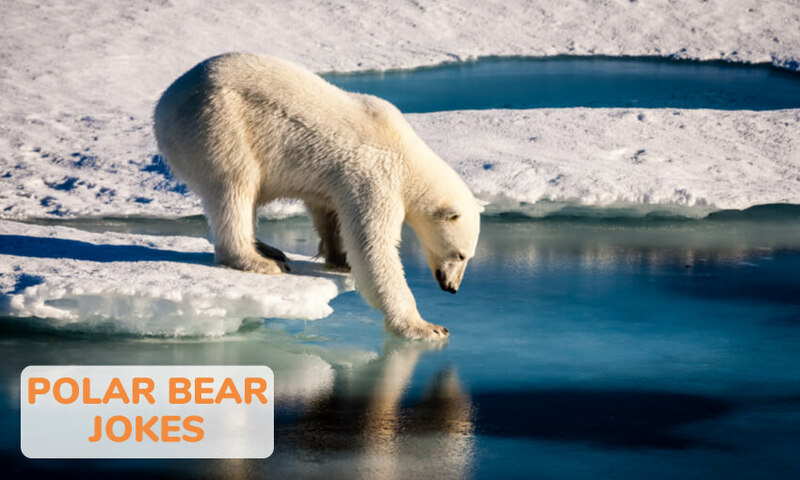 Why do bears have fur coats? A: Because they’d look stupid in anoraks! 10. What do you get if you cross a teddy bear with a pig? 11. What do you call a Teddy bear at the North Pole? 12. What’s white, furry, and shaped like a tooth? 13. Why did they make two Yogi Bears? A. Because they made a Boo-Boo with the first one. 14. Why shouldn’t you take a bear to the zoo? A: Because they’d rather go to the movies! 15. What’s the difference between a Teddy and a turkey? A. If you don’t know that, maybe you shouldn’t cook any holiday dinners…. 16. How do you hire a teddy bear? 16. How do Teddies keep their houses cool in summer? A. They use bear conditioning. 17. How do Teddies send their letters? A. By bear mail, of course! 18. What’s the difference between a Teddy bear and an apple? A. Teddy bears don’t grow on trees. 19. “Who’s been eating my porridge?” squeaked Baby Bear. “And who’s been eating my porridge?” cried Mother Bear. 20. What’s small and cuddly and bright purple? A. A koala holding his breath. 21. What animal do you look like when you get into the bath? 22. What do you get if you cross a skunk with a bear? 23. Why do polo bears like bald men? A: Because they have a great, white, bear place! 24. What do polo bears have for lunch? 25. What’s a teddy bears favorite pasta? 26. What do Alexander the Great and Winnie the Pooh have in common? A: They both have ‘the’ as their middle names! 27. What do Teddy bears do when it rains? 28. Why is the letter “D” like a bear’s belly button? A. Because they are both in the middle of Teddy. 29. Why do Teddy bear cookies wear long trousers? A. Because they’ve got crummy legs. 30. What do you do with a green Teddy bear? A. Wait until he’s ripe! 31. What happens if Teddy gets torn? A. He runs and runs until he gets a stitch. 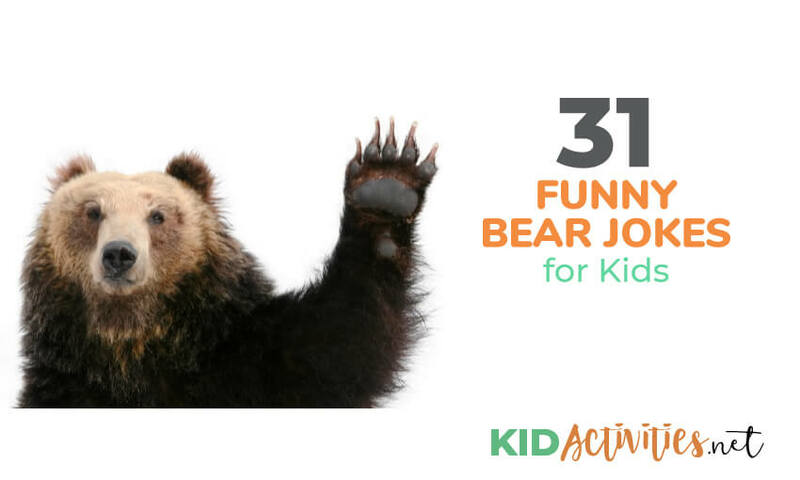 There you have it, 31 funny bear jokes for kids. We hope they have made you laugh and giggle. Make sure to check out our yarn activities as well.